Remove odors from your synthetic wig. Wearing synthetic wigs can be an enjoyable and inexpensive way to change your hairstyle without doing anything drastic to your own hair. After wearing your synthetic wig for a while, however, it can become a bit smelly. 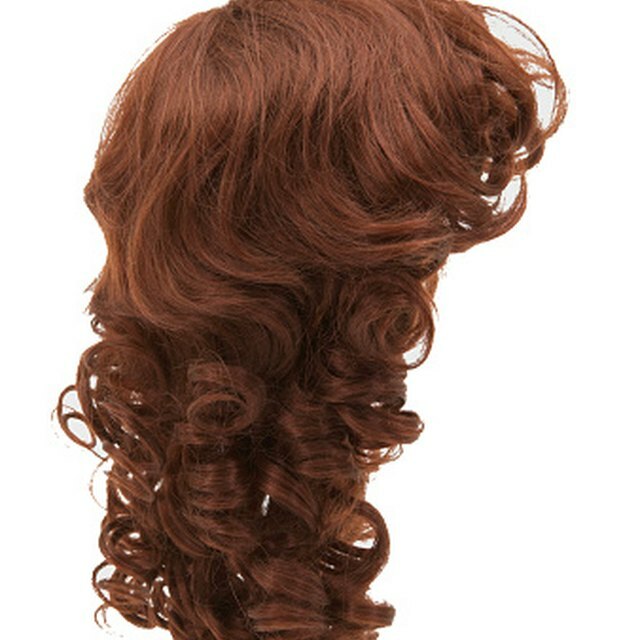 You can attribute the odors in the wig to your head sweating underneath the wig, to cigarette smoke and to dirt particles that accumulate on the fibers of the wig. Run a wide-tooth comb through the synthetic wig to remove all of the tangles. Fill a basin with cold sudsy water. Use a wig conditioning shampoo to formulate the suds. Select a scent-free shampoo or a scented shampoo. Using a scented shampoo will leave an added scent of fragrance on your wig. Place the tangle-free wig inside of the basin of water. Allow the wig to sit submerged in the water for 5 to 10 minutes. Swish the synthetic wig around in the basin of water with your hands to remove all of the dirt, sweat and odors from the wig. As you swish the wig around, the water may become dirty. If so, drain the water from the basin and refill it with fresh water and suds. Swish the wig around until the water no longer becomes dirty. Drain the water and suds from the basin. Refill the basin with suds-free cold water. Place the synthetic wig inside of the basin. Swish the wig around in the basin to rinse the shampoo from the wig. Repeat steps 5 and 6 until you have rinsed all of the shampoo from the wig. When the water in the basin is free of suds, the synthetic wig is shampoo free. Shake your wig in the basin to remove excess water. You can also blot the excess water with a towel. Do not comb the synthetic wig while it is wet. Place the synthetic wig in an area that will allow it to air dry. If you have a wig stand, hang the wig on the stand to ensure the wig cap maintains its round shape while drying. Lightly spritz your wig with a scented spray if you would like an extra touch of fragrance for your wig. Do not blow dry the wig since excessive heat will cause the synthetic fibers to melt.